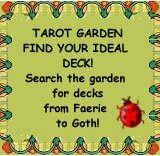 It’s not often one finds a collaborative deck being published. 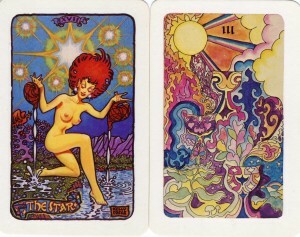 Many other collaborative Tarot decks that have been created have only manifested online, such as the various Aeclectic Community Tarots, the Eat Poo Tarot, and the two Mannini decks, although there are some collaborative decks that have found their ways to the printers: Mail Artists’ Tarot, Artists’ Inner Vision Tarot, and the LiteraTarot. 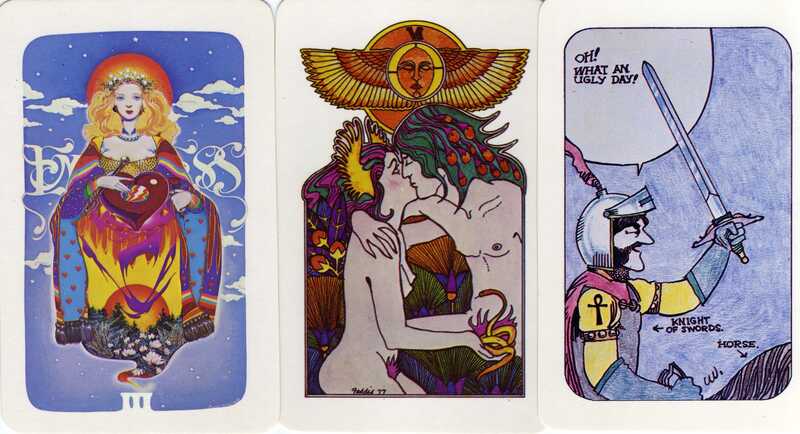 It is possible that the Fantasy Showcase Tarot is one of the earlier, if not the original, collaborative Tarot, being started in 1969, and finally published in 1980. 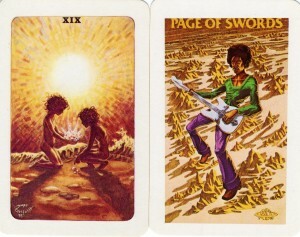 Kuykendall and her “Tarot of the Cat People” from 1985. 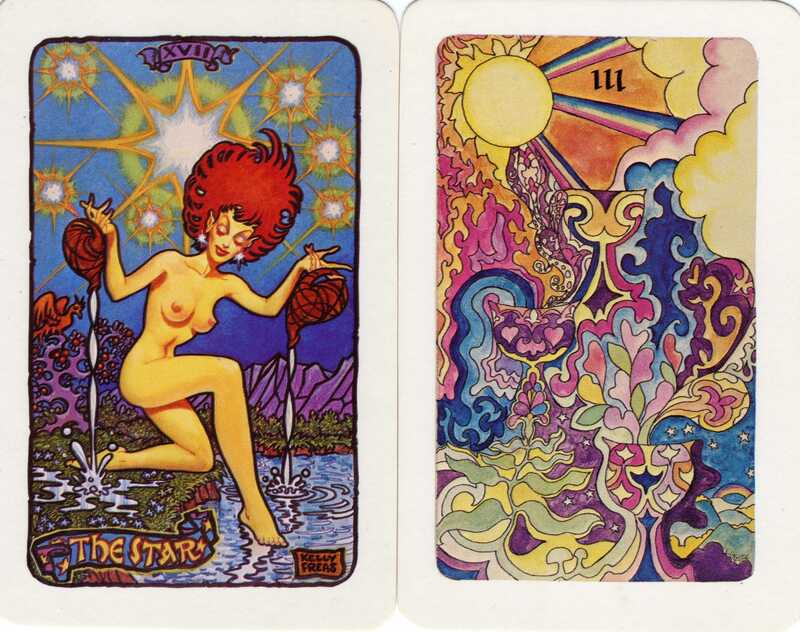 Throughout the deck we find an obviously 70’s art style, which adds to the unique charm of the Fantasy Showcase, including the psychedelic Star and Ace of Cups. 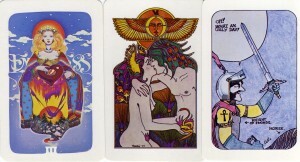 The only problem with the deck is that many cards do not have titles, so the reader is left guessing. In places this is easy enough, but when it comes to the Court Cards it can be difficult to identify the cards. 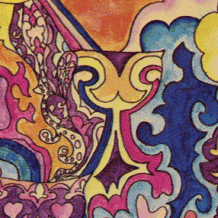 The wide variety of art styles in the Fantasy Showcase, as well as its depth and intriguing aspects, means that this is one golden oldie that is truly colourful in so many more ways than just its aesthetics. 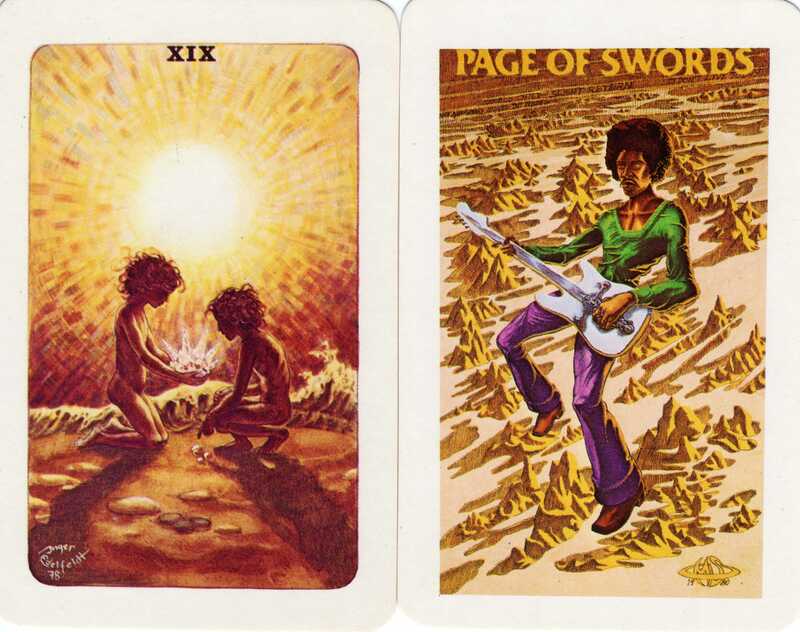 To find out about the 11-year creation process of the Fantasy Showcase Tarot, read this short article by Bruce Pelz.